One of the most special memories of Charles Edward Hall was when his Uncle Walter portrayed Santa Claus at family gatherings during Christmas. Years later, Charles would use that memory to recreate one of the most enduring images of Santa Claus. For over 25 years he has been the resident Santa of Radio City Music Hall, working with the world famous Rockettes every Christmas in the legendary Christmas Spectacular. 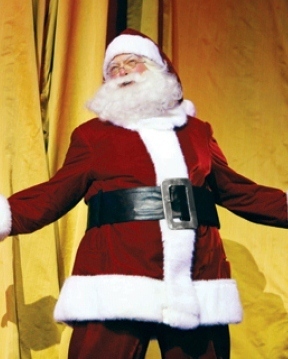 Much acclaimed in the role, Charles has become a year-round Santa spending time promoting the Spectacular extensively. Charles splits his time between New York and his home state of Kentucky. He spends some of the time in his hometown as artistic director for the local non-profit theater. He directs programs for college and university students.